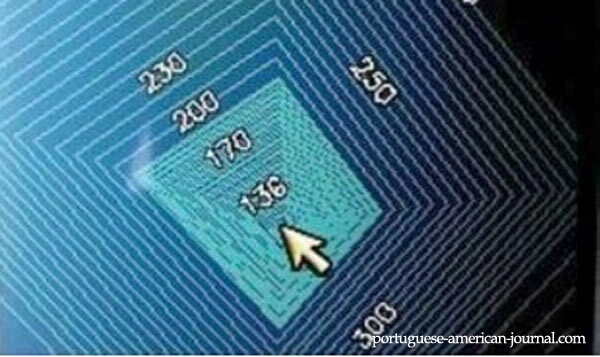 Portuguese news sites are reporting on the apparent discovery of a man-made subaquatic pyramid between the islands of São Miguel and Terceira in the Azore in Portugal. The underwater pyramidal structure was found by a private yacht owner, Diocleiano Silva, who spotted the strange shaped object on sonar at a depth of 40 metres while sailing in the area. The structure is said to be perfectly squared and oriented by the cardinal points. It is thought to be approximately 60 metres tall with a base of around 8,000 square metres. The Portuguese Hydrographic Institute of the Navy is currently analysing the data to determine whether it is in fact man-made or not. As the area is a volcanic zone, a natural rise in the group cannot yet be ruled out, however, some archaeologists fear that the ‘natural formation’ conclusion may be drawn too quickly if the data contradicts what is already believed to be true about the history of the region. The Azorean archipelago was discovered uninhabited by the Portuguese around 1427. However, recent archaeological evidence on Pico island suggests that humans occupied the Azores thousands of years before the Portuguese arrived. Evidence has been found on all nine of the Azorean archipelago including pyramidal rock structures, some of them 13 meters tall, which appear to align with the summer solstices, an epigraph from Roman times, Carthaginian sanctuaries, cave art, and megalithic structures.